Above, our most popular specialty, sea salt soaps. TOP TO BOTTOM: Pink Sand, Dead Sea Mud, Marrakesh, Simply Salt, and our best-selling Sea Salt Soap. 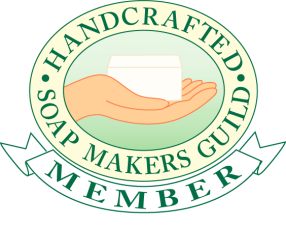 If you have any trouble ordering, please contact Michelle at info@mysticwatersoap.com or call (240) 396-6831 and I will do my best to resolve the problem. You don't need to have a Paypal account, just fill in the credit card or debit card information requested on the check-out page and Paypal will process the transaction safely and securely. Please do NOT send me your credit card information in an email! If you prefer not to pay online, call me and we'll arrange an alternative payment method. If I receive an order by 2:00 p.m., I try to ship your order the same day, or by the next business day. Domestic orders sent by priority or first class mail will receive automatic shipping confirmation and tracking numbers. If you have concerns about your domestic order, feel free to contact me by email and I will do my best to assist you. International orders sent by USPS 1st class mail do not come with tracking information. How does shipping work in the U.S? I use USPS priority or flat rate shipping with delivery confirmation, and charge a flat rate of $7 to cover shipping and handling on most U.S. domestic orders. 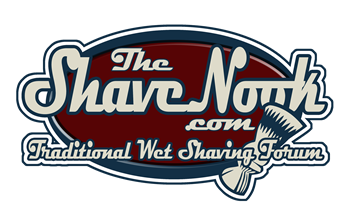 Small orders like samples or a single tub or refill, that can be sent in a padded mailer, are sent by First Class with tracking for $4.00 if you use the "Buy Now" button on the Samples page. There is free USPS shipping on all domestic orders over $75 (UPS and FEDEX delivery service are not included in this offer). Yes. I use the USPS (United States Postal Service) but please be aware that 1st class International Mail (the most economical way to send packages) DOES NOT include tracking. International packages will have a Customs Form number, which in some places can be used to see if the package has entered the country, but it does not provide dependable tracking. If you require tracking on your package, there are services like Priority that are more expensive, but also faster. All international orders placed online will be subsequently charged for actual shipping costs. My shopping cart does not calculate postage on international orders. When I receive an order, I pack and weigh it to determine exact postage, and then send a second invoice for the shipping charge. As soon as that is paid, the package will be sent. If you prefer to pay all at once, you may contact me directly at info@mysticwatersoap.com to place your order by email and I will send you a single invoice to pay online that will include shipping charges. Insurance, special handling or tracking can be added for an additional charge, if desired. Applicable customs fees are the responsibility of the customer, and Mystic Water Soap is not responsible for packages that are held up in Customs. Some countries have notoriously slow Customs offices, so please be patient while waiting for your shipment. If shipping is not paid, I cannot send the package. I will try to contact the customer at the email address that is on their order, and send Paypal reminders, but if the shipping has not been paid within a week and emails go unanswered, I will issue a refund and cancel the order. Mystic Water Soap is a Maryland-based company and so Maryland residents will be charged 6% sales tax on their orders. This includes, in accordance with state law, application of sales tax to shipping and handling charges. Other than here on this website, where can I find you? During the market season from April through December, you can find us at farmers markets here in the Maryland suburbs of Washington, D.C., and at a number of festivals and holiday markets in the MD-VA-DC area. As our calendar for 2017 takes shape, we'll post it here. To see what shipping to your country will cost, please go to https://postcalc.usps.com/We encourage you to try samples and ask questions before placing a larger order, to be sure that you like the various scents and are satisfied with the product. Because of the nature of our product, our policy is not to accept returns or give refunds unless we have sent you the wrong item by mistake. I will do my best to resolve problems with orders on a case-by-case basis; please contact Michelle at info@mysticwatersoap.com. That's why it's important that the email address listed on your order is correct. I will try to contact you, to let you know the situation and offer a refund for that item, or see if you have an alternate choice. If I cannot reach you within two days, I will refund the cost of the out-of-stock item and send the rest of the order. I do not back order merchandise. Yes, you can friend or follow us on Facebook and Twitter.. This is definitely the best way to know of last-minute decisions on where we will be when during market season. We also very much appreciate when our customers post product reviews on Facebook!